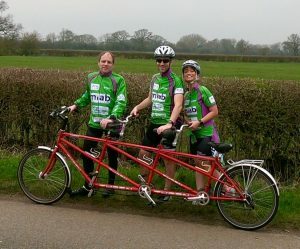 Those of you at this year’s Clinical Pharmacy Congress will have seen our Triplet bikers (see below) in action! Inspired by their energy and efforts we launched, at the event, our #wheeliebigchallenge campaign and have already been blown away by the response. We’ve had people signing up to a skydive, to a tri-athlon and to go alcohol-free! Here’s our latest salute to the amazing fundraisers who have gone to extreme lengths over the past couple of months – running, baking and biking – to raise money for the charity and help us continue our work! 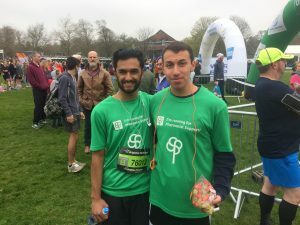 In April we saw another two heroic PS Runners – Humayun and Mark – take on the Brighton Marathon. This fantastic event takes in all of the sights of the seaside city and although a little colder this year than last, the crowds still came out in their droves to cheer on the participants. Joining the Team PS cheering squad again was Jenny from the RPS Retired Pharmacist Group whose extensive knowledge of the course found us a great spot about a mile from the finish line to cheer on our boys. 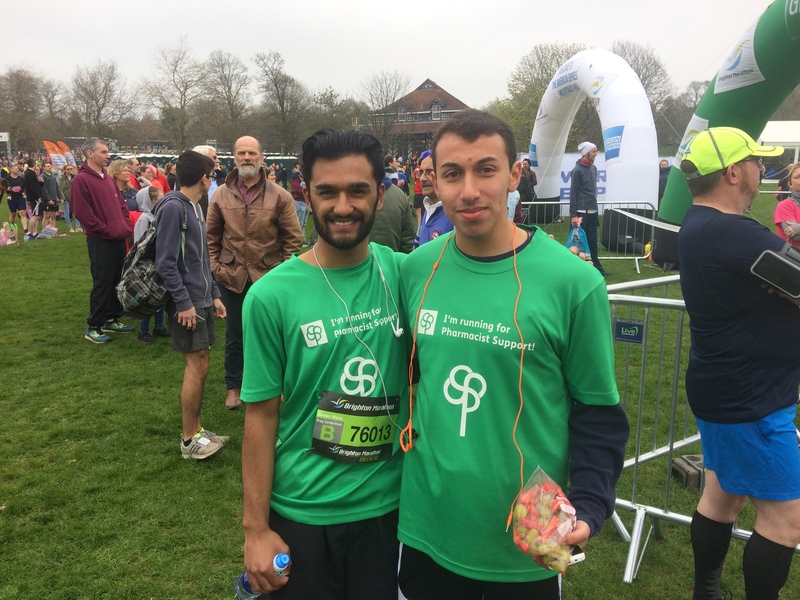 Congratulations to both Humayun and Mark on completing their marathon challenge. Check out and donate to their fundraising pages here: Humayun and here: Mark. Steve raised a fantastic £610 and you can still donate to his page here. 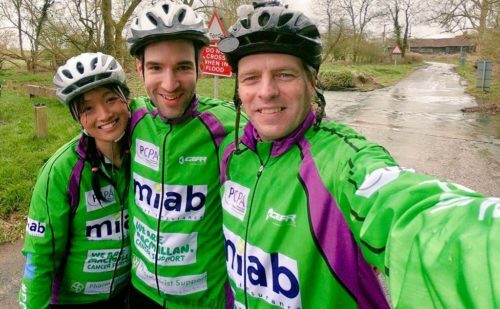 They say great things happen when you bring people together and on Friday 4th May 2018 that’s exactly what happened when Robin Conibere, Helen Kilminster and Graham Stretch from the Primary Care Pharmacy Association (PCPA) set off from the Royal Pharmaceutical Society HQ at Tower Hill, London to the Eiffel Tower in Paris on a triplet bike (that’s right one bike three seats!). We take our Green hats off to you our triplet tastic trio! 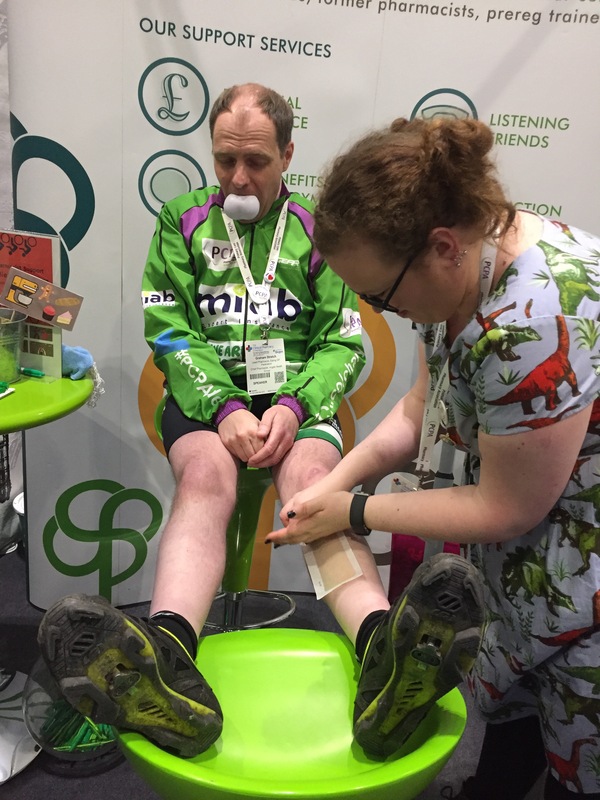 Take a look at their Fundraising Hero Profile and see what motivated them to take on such a challenge or donate straight to their fundraising page here. 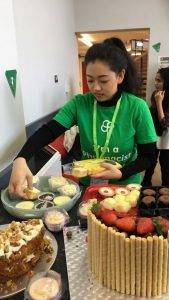 Moving into May and our fundraisers are still clocking up the miles – with runners in the Great Manchester Run on Sunday 20th and the Vitality British 10K London Run on Monday 28th May. 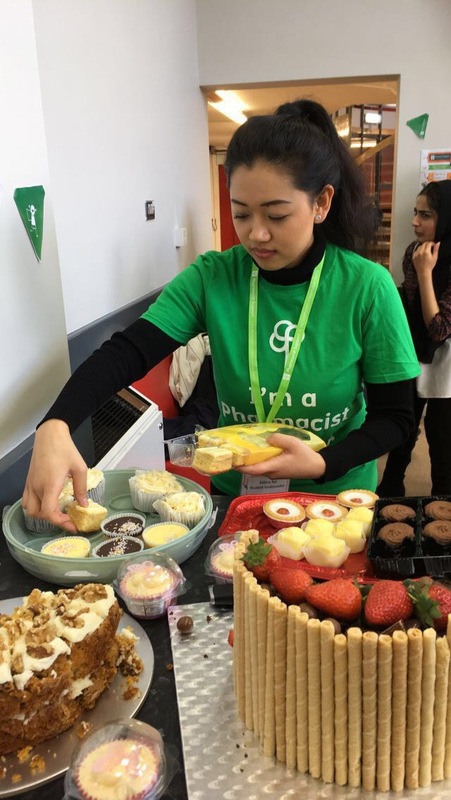 One of our runners is Jayesh Patel who you may recognise as he’s often out in his green T Shirt at events representing Pharmacist Support as our Ambassador. 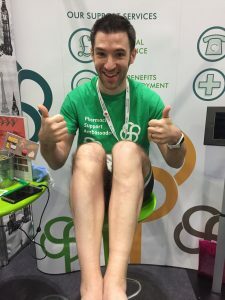 Here you can read his Hero Profile and find out why he’s decided to challenge himself to take part in the Viatlity London 10K . 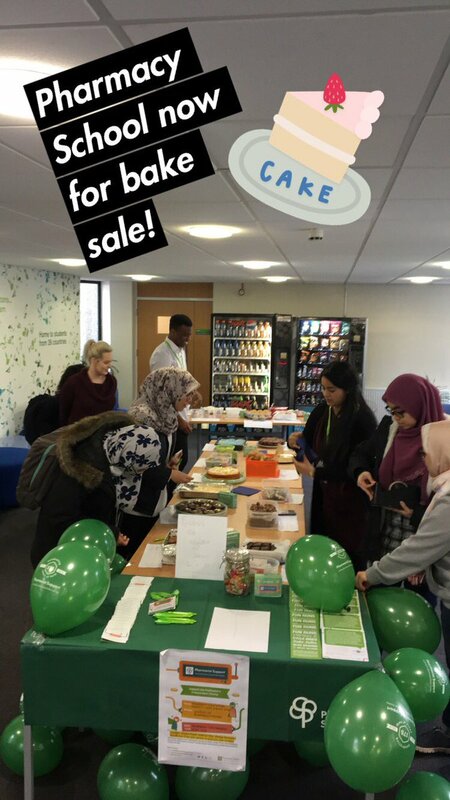 Students doing it for themselves! raised an impressive £250 for PS. 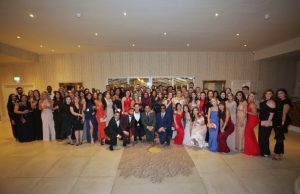 This, along with the impressive £1500 raised at the Boots Night In charity auction organised by the BPSA at their Annual Conference in Keele takes our student fundraising total to: £2429.58. Great work all of you and a HUGE thanks! 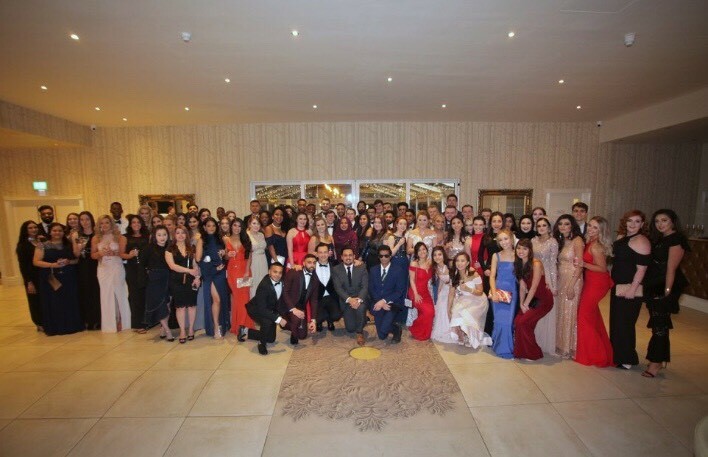 If you are interested in becoming a Student Ambassador at your University click here. We want to say a HUGE thanks to all of our fundraisers and to everyone who’s given so generously to support them. 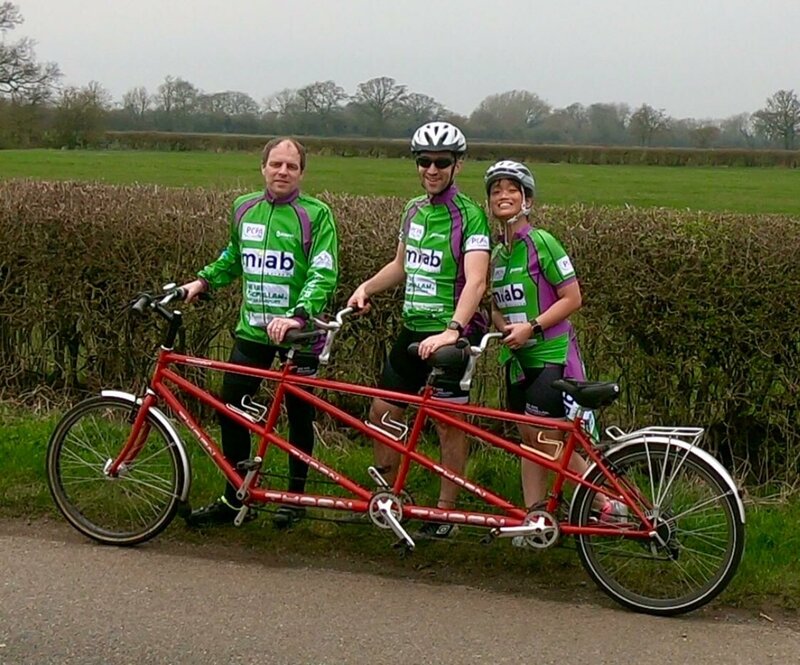 You have given us some truly inspirational fundraising moments! 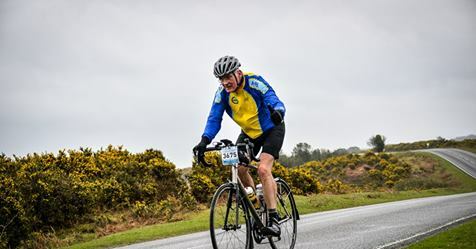 If you have been inspired to take on your own #wheeliebigchallenge then why not take a look at our Events and Challenges page and drop us a line (fundraising@pharmacistsupport.org).